SatNews — The two payloads for Arianespace’s next Ariane 5 mission are now at the Spaceport following their dual delivery to French Guiana last week. A chartered An-124 cargo jetliner arrived at Cayenne’s Rochambeau International Airport with the Nilesat-201 and RASCOM-QAF1R spacecraft, both built by Thales Alenia Space as prime contractor for their respective customers: Nilesat and RascomStar-QAF. The two satellites were transferred by road from the airport to the Spaceport, where they will begin their pre-launch checkout for a scheduled August 3 liftoff. An Antonov An-124 cargo aircraft delivered the Nilesat-201 and RASCOM-QAF1R satellites to Cayenne’s Rochambeau International Airport. 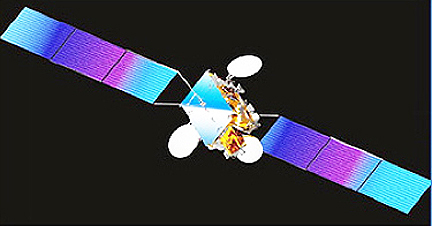 Nilesat-201 will enable the Egyptian satellite operator Nilesat to deliver digital DTH TV and radio broadcasting, along with high-speed data transmission services, to North Africa and the Middle East. Using a Spacebus 4000B2 platform, this relay platform is equipped with 24 Ku- and 4 Ka-band transponders. Its launch mass will be approximately 3,200 kg., and after its deployment by Ariane 5, the satellite will be positioned at an orbital slot of 7 degrees West longitude for a 15-year design operating lifetime. 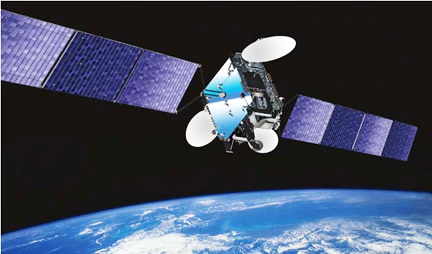 The RASCOM-QAF1R spacecraft will ensure service continuity for the RascomStar-QAF operator and its customers, providing African access to advanced communications and information technologies — in particular rural telephony. RASCOM-QAF1R is based on the Spacebus 4000B3 platform, and is equipped with 24 equivalent 36 MHz transponders in Ku- and C-band. Weighing an estimated 3,050 kg. at launch, RASCOM-QAF1R will cover the African continent, as well as parts of Europe and the Middle East, from an orbital slot of 2.9 degrees East longitude. The August 3 mission will be Ariane 5’s third flight of 2010. It follows the June 26 mission that orbited the Arabsat-5A and COMS satellites, and the May 21 launch with ASTRA 3B and COMSATBw-2.